The Hits: Tora Tora Tora but the whole record is pop heaven. If you find yourself hungry for new music, something easy on the ears, then do yourself a favor and pick up Pretty & Nice's Get Young. They are a trio from Boston who make ridiculously good disjointed pop music on what sounds like toy instruments and have vocals that slide into a falsetto range that makes me wonder if they reached puberty yet. 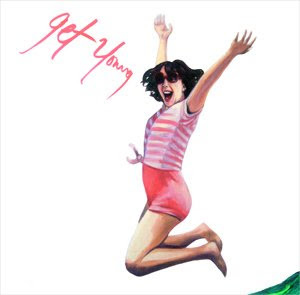 I like this record to maybe even recreate the cover by leaping for joy.